It is quite common to end up with a lemon, even if you have researched, shopped around, and negotiated before bringing your new car home. Since you are safeguarded by the law to either get a replacement or a repurchase, the question that now arises is: What should the manufacturer be paying you? But before getting into that, let’s see what qualifies a car as a lemon. • The manufacturer, through its authorized repair facility, is given a reasonable opportunity to repair the defect. There are two important aspects that we need to understand from this definition – (a) substantial defect, and (b) reasonable repair attempts. Substantial Defects – A defect does not need to affect the safety only. A common misconception is that the defect must be a safety concern–it does not. The requires a substantial impairment to use, or, a substantial impairment to value, or to safety, any one of the three criteria qualifies. Therefore, in addition to major problems like faulty brakes, malfunctioning seat-belts or airbags, faulty steering, and so on, there are many other problems that qualify. Usually, the defect must first arise within the express written warranty period to be identified as a lemon, and must not be caused by customer abuse or neglect. • The car is out of service for over a specific number of days (generally 30 cumulative days) in order to repair a substantial defect or combination of defects. If your car meets these criteria, you may be entitled to receive a lemon law buyback. What The Manufacturer should be Paying You? As per lemon laws, there are two options for a manufacturer to fulfill their buyback obligations – (a) they either offer a replacement, or (b) repurchase your defective vehicle. In addition, you may be entitled to get compensation for any incidental damages caused by the lemon car’s defects and malfunctions. Let’s take a look what the buyback usually includes. As mentioned, the manufacturer must reimburse you for selling a lemon. To satisfy their buyback obligations, a manufacturer will reimburse you for the initial down payment, as well as all monthly payments you have made so far. In addition, they will pay off all amounts owed to the finance company (if any), such as finance fees, interest paid, and penalties to terminate the finance agreement, etc. so that all liens on the car are settled. Apart from the cash price of the car and the loan balance (if applicable), the manufacturer may also be responsible to pay off any other incidental expenses associated with the lemon claim. These include repair expenses and towing charges, registration fees and sales taxes, car rental and alternative transportation charges, funds expended to ensure the car, and so on. In addition, the manufacturer is also expected to reimburse all incurred attorneys’ fees, costs, and expenses associated with the commencement and prosecution of the claim. Again, in most cases, the manufacturers are aware of the problem in the cars they produce and are therefore liable to pay additional, punitive damages, on top of all collateral damages, including your lemon law attorney fees and court costs. This means, you really shouldn’t have to pay a penny to file a lemon lawsuit, you are entitled to a full refund and in some cases additional punitive damages up to two times the purchase price of the subject vehicle. 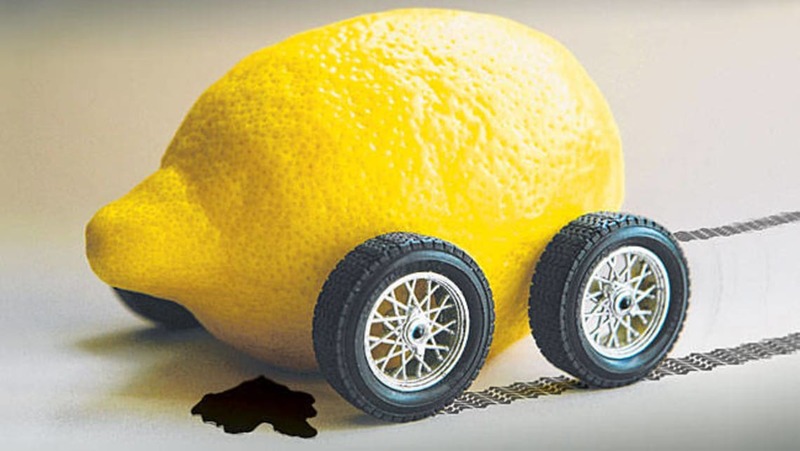 If you have a lemon, it still makes sense to speak to a lemon law attorney. An experienced lawyer can make sure you calculate the lemon law buyback correctly and help you reach a settlement sooner than you might initially think.